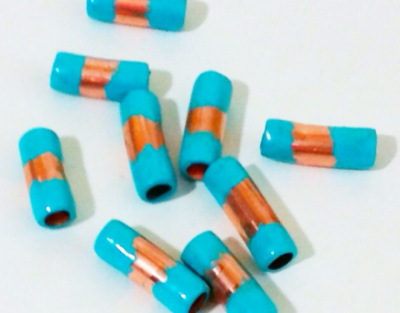 These diy copper tube beads are made from copper tubing, and can be cut whatever length you want. I used a metal patina, and strips of paper to cover the copper. 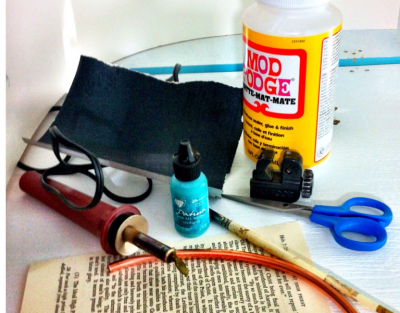 Cut your copper tubing into the size that you want your beads to be. 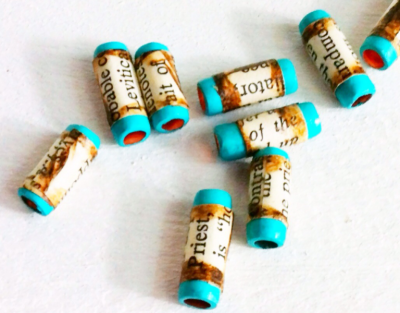 These beads are approximately 3/4″ long. Sand the edges of your beads. 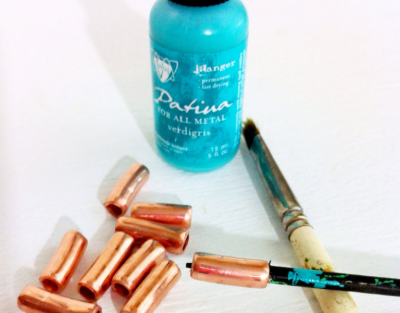 Place a bead on your wood skewer and paint the ends of your bead with the metal patina. 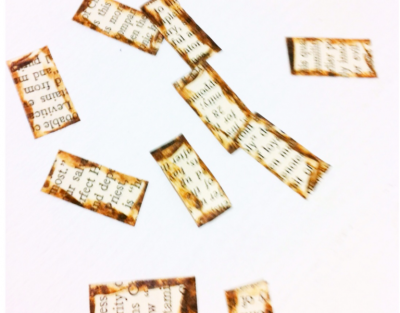 The patina dries pretty quick to the touch, then you can lay them down on wax paper. 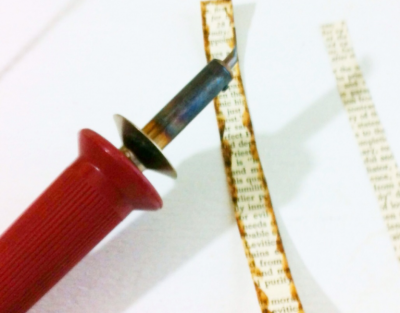 Now cut your strips of paper just wide enough to cover the center of the copper tube bead, then use a wood burner to burn the edges of the paper. Cut pieces just long enough to overlap when wrapped around the middle of your copper beads, and burn those edges as well. 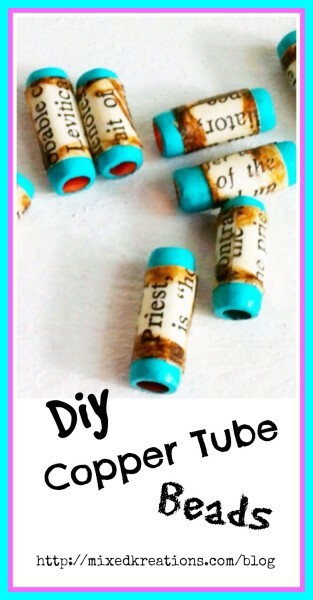 Apply Mod Podge to the back of your paper, then wrap around the center of your tube bead. Apply another 1-2 coats of Mod Podge over the paper. Let dry throughly. You can use these unique diy copper tube beads to make an easy bracelet by just stringing them on black cord with a sliding knot clasp. I have a question. I’m new to making beads. Were do I find copper tubing. have never seen it in hobby stores. 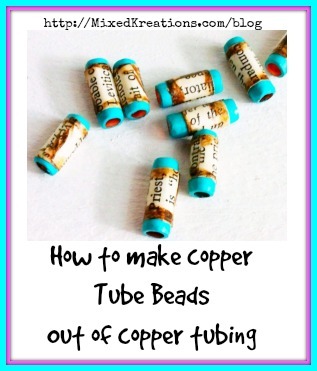 thanks for posting this I would have never though of using copper wire to make beads. Hi Virginia! You can find copper tubing at your hardware store, like Home Depot or Lowe’s. Thanks for stopping by! Thanks Heather! Their easy and fun to make, and so many ways to use them.